It was one of the hottest Summers ever, and so too were retail industry readership trends here on FixturesClosUp. 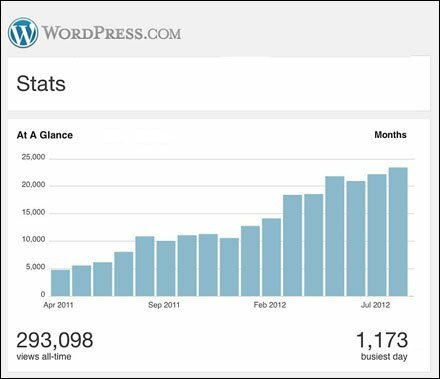 Again in August 2012 readers flocked to the site to the tune of 23,428, the highest monthly readership yet. Hopefully it is a prelude to a heated Fall merchandising season and ever improving economy? Or maybe Auguat was just too hot to recreate, and store owners stayed home after hours to browse the internet while keeping cool. I can only report the readership facts and let you draw your own conclusions.